What can I find in the Atlas? 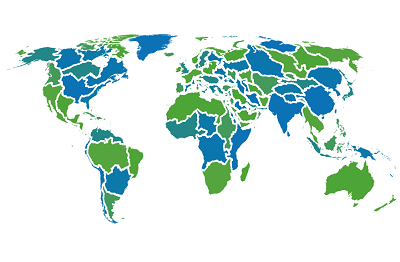 The Atlas provides extensive information on freshwater biodiversity and related geographic information from around the world. 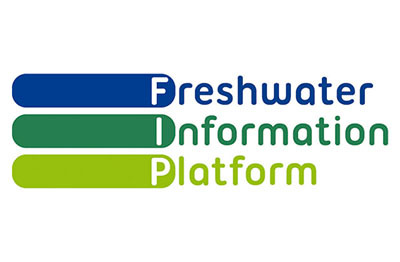 You can explore freshwater biodiversity data and maps on freshwater resources and ecosystems. Furthermore, you can discover some of the environmental impacts on freshwater ecosystems that threaten their biodiversity as well as investigate their conservation and management. The map interface allows you to display the interactive freshwater biodiversity maps at regional, continental or even global scales. The Global Freshwater Biodiversity Atlas is organised in chapters, representing different fields related to freshwater biodiversity. Each chapter may contain sub-chapters, which then hold the different maps. The main chapters are: “Freshwater Biodiversity”, “Freshwater Ecosystems”, “Freshwater Pressures and Impacts” and “Freshwater Conservation and Management”. Do the maps show only current diversity patterns? No, there is also information available about biodiversity trends in the future (see the chapter “Climate Change”). Where can I find information on the drivers of, or pressures on biodiversity? 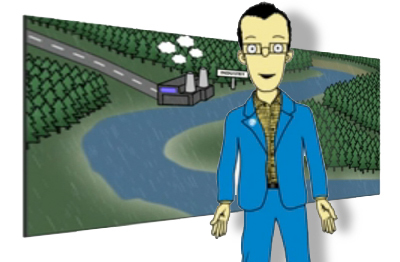 Information and maps on the drivers of, or pressures on biodiversity can be found in the chapter “Freshwater Pressures”. This chapter provides maps and brief summaries of, for example, climate and land use change, pollution, water extraction, invasive species or water-related diseases. How do I find maps on a particular topic? There are several options to find a map on a particular topic. You may wish to explore the keywords on the bottom of the “Explore” section. A keyword’s size is proportional to the number of maps available on this specific topic. Alternatively, you may choose to look at a chapter in the “Explore” section, then use the “Select a chapter” box option. You can also directly enter a search term into the box below the “Search in all chapters” option. This option enables you to search all chapters simultaneously. Are there more maps to be expected on the Atlas? Yes, the Atlas is constantly under development and we are actively looking to extend the Atlas. We invite you to contribute as well. 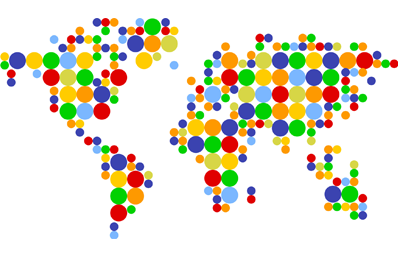 If you have any spatial data on freshwater biodiversity that might be of interest for the scientific community or the interested public please visit the “Contribute” section of the Atlas or contact the editors via email at . How can I navigate through chapters in the interactive map interface? You can navigate through the chapters using the “Navigation” box on the top left side. Here, you can scroll through all chapters and available maps and then select one of your choice to display in the main window on the right. Click on the arrow beside a chapter header or double click on a chapter header to open a chapter or sub-chapter of interest. The relevant sub-chapters or maps will then be displayed. How can I find out if there is a map available for a specific topic if I am using the full screen interface? In the “Navigation” box (section “Chapters”) on the left side you will find a list of the chapters from the atlas presented in a blue colour. Additionally sub-chapters containing maps are displayed in a green colour. Sub-chapters that are under investigation but not yet published are displayed in grey as they are not yet available. Alternatively you can return to the embedded interface (by clicking the “minimise”-button on the top right) and use the “Explore” section in the menu to seek and find your specific topic. What is the difference between the maps in the “Explore” and in the “Map” sections? Basically the maps’ visualisation is the same throughout the atlas. The only difference is in how you find them. In the “Explore” section, for example, you can browse the chapters according to the topics that you are interested in. Alternatively, if you choose to use the “Maps” section you will view them directly in the map interface. There, browsing the maps is made possible by using the “Navigation” box on the left. How can I enlarge the map in the main window? To enlarge the map in the main window and, therefore collapse the navigation box, you need to click on the arrow next to the map’s name in the “Navigation” box. This will collapse or expand the “Source/Citation” box too. If you are looking at the embedded screen version you can maximise the map by clicking on the “maximise” button. Is there a full screen mode to display larger maps? Yes. To enter the full screen mode, click on the “maximise” button in the upper right corner of the main window. To change from full screen and return to the embedded mode, click the button again (please note that the button now reads “minimise” and the arrows change form outward to inward pointing). How can I display the different layers available for a map? In the “Map Layers” option you will find all the different thematic layers that are available for a certain map, and that are able to display different aspects for this topic. You can switch between the layers by selecting a radio button. The “Map Layers” option can be found in the “Navigation” box on the left of the embedded map interface. In the full screen interface this option is available as a separate box in the main window on the right. Can I change the base layers or additional layers displayed on a map? Yes. Just select the “Base layers and Overlays” section in the “Navigation” box, which displays the base layers and overlays available for your map. Remember that the checkboxes allow you to add or remove layers from the map in the main window on the right. Can I use several base layers at one time? No, you can only switch between different base layers by using the radio buttons in the section “Base Layers and Overlays”. You can find this information in the “Navigation” box on the left side of the embedded map interface or as separate box in the main window on the right in the full screen interface. Where can I find a legend for a map? You can find a legend explaining the colours of a map either in the “Navigation” box on the left of the embedded map interface or as separate box in the the map in the main window on the right in the full screen interface. Is there a legend to each map layer? Yes, there is a corresponding legend for every map layer that you have chosen to display. You can find the legend indicating the different colours of a map layer in the “Navigation” box on the left side of the embedded map interface or as separate box in the main window on the right in the full screen interface. What is the “Source/Citation” box in the “Map” section? The “Source/Citation” box on the bottom left of the “Map” section contains information on all contributors to the map that is currently displayed as well as information on how to cite this particular map. The “Source” tab contains contributors, references to the data the map is based on or, if available, the link to the original publication of the map. You may wish to scroll down the box to find them.The second tab – “Citation” – shows you the correct citation for the map. Where can I find additional information about the maps? There is a brief map article available for each map, providing additional information, for example, a short narrative summary of the map or relating to the data sampling methodology. You simply need to click the tab “Article” next to the tab “Map” in the main window of the map interface. If further information is available, additional tabs, such as “Extended Methods” or “Copyright & Downloads” will be displayed. In the latter tab you will find legal information on the use and further publication of the map, for example, details about publishing in books or scientific articles. There, you can also find the source link to download a copy of the selected map, for example, if you may wish to use it as a shape file for further use in a Geographical Information System (GIS), but only if that this is in line with the map’s copyright conditions. Where can I find further guidance on how to use the Atlas? There are short and illustrated instructions available for the “Explore” section (see “Exploring the Maps” for details) as well as for the “Map Interface” (see “Using the Map Interface” for information). Both can be found in the main menu under the “Manuals” option (please note that you have to be in the embedded map mode to view the menu). Additionally an extended manual is available as a printable pdf-file in the "Download the Manuals" section. Is there a printed version of the BioFresh Atlas available? Though possibly envisaged for future activities, there is currently no printed Atlas available. Can I use atlas maps or articles or parts thereof for my website or in any other kind of publication, for example, in reports and articles? If the “Copyright & Download” tab is displayed above a map in the main window, then it will provide information on the terms and conditions for further use of the maps on display. If the tab is not visible, then the terms and conditions that apply are as defined by the publishers referenced in the “Source/Citation” box. Please contact for further information. In all cases, if material from the Atlas is published elsewhere, full citation of the reference(s) as indicated in the “Source/Citation” box (tab “Citation”) is mandatory. Can I share the atlas maps in social networks? Yes, the Atlas allows the sharing of the maps by linking to Twitter from a map’s profile page (Explore section). Can I make a screenshot of a map and use it for my own presentation? If you make a screenshot of a Global Freshwater Biodiversity Atlas map and use it for your own purposes the Atlas as well as the data provider always have to be cited. Information can be found in the “Source/Citation” (tab “Citation”) box on the left hand side of all maps. How do I cite a map or an article correctly? A full reference for each map is given in the “Source/Citation” box on the bottom left side of the map interface. Here, please choose the tab “Citation”. The reference to the original scientific publication is given in the “Source” tab. All materials published in the Atlas are presented under a Creative Commons licence unless otherwise stated. Full details can be found at www.creativecommons.org. How can I help to expand or maintain the Atlas? You are very welcome to extend the Global Freshwater Biodiversity Atlas with your own contribution(s). If you have any spatial data on freshwater biodiversity that might be of interest for the scientific community or the interested public please visit the “Contribute” section of the Atlas or contact the editors via email at . Just choose the "Contribute" section in the Atlas menu, which will provide more information how and why you may contribute. If you are interested in publishing your results please contact the atlas editorial board: . How do I upload my own data? You are very welcome to extend the Global Freshwater Biodiversity Atlas with your own contribution(s). Please visit the “Contribute” section of the Atlas or contact the editors via email at for further details. You will then be notified how you may submit your data for implementation. I have noticed an error in some of the data – what should I do? If you come across an error or any other map content that does not seem correct to you, you can either contact editorial board () or the map author. The email address of the map author can be found in the main window on the tab “Article”, indicated through an envelope symbol. Who are the editors of the Atlas? The scientific editors of the Global Freshwater Biodiversity Atlas are Jörg Freyhof (IGB, Berlin) and Astrid Schmidt-Kloiber (BOKU, Vienna), the technical editors are Vanessa Bremerich (IGB) and Oliver Peters (IGB). The editors are assisted by an Editorial Board, which consists of partners of the BioFresh project. Additionally the Atlas is supported by various partner institutions.